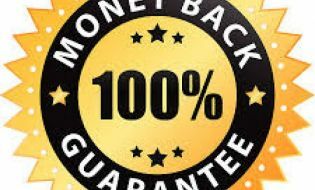 Our Full Money back Guarantee! The Deed Poll Site (Deedpollsite.com) is so confident of its services, that we at the Deed Poll Site guarantee our Deed Polls to be accepted by all UK government departments and organisations including Inland Revenue, Passport, DVLA etc. We back this claim with our Full No Quibble Money back Guarantee. Tell us who will not accept our Deed Poll, we will deal with them and if they still do not accept our Deed Poll, we will refund you the full money you paid for the Deed Poll documents, no questions! Please Note: We rely upon the information you provide us with, consequently, the guarantee is subject to the information that is provided to us and does not cover the title, the name or the accuracy or spelling of the information that has been provided to us. You need to ensure that the information you provide on the application is both correct and true. We will not issue any documents for names we believe to be blasphemous, abusive or racist in nature, and we reserve the right to refuse any deed poll order we deem inappropriate. That said, please note that we do not keep a list of acceptable or unacceptable names, so you need to ensure that any name you choose for yourself is legally acceptable. Our issuing of the Deed Poll does not endorse your choice of title or name. As general guidance, names deemed unacceptable may be due to them being abusive, swear words, unpronounceable such as @#! etc. Please see "Are there any Restrictions on Name Changes". In the highly unlikely event of a refusal, please be aware that we will need to verify with the name record holder, their grounds for refusal. We will also endeavor to resolve the issue on our behalf if at all possible. Please note that full money back guarantee is limited to 60 days from the time we issue your order. Our Deed Poll documents are GUARANTEED to be accepted by all UK government departments and organisations. Furthermore, unlike most deed poll suppliers, all our deed poll documents are also guaranteed to be accepted by all UK based organisations, both governmental and non governmental. This includes private organisations such as banks, credit card suppliers, doctors, employers, etc.